Today, Slow Food is a huge global organisation, protecting thousands of food products and artisans from extinction. But it all started with Carlo Petrini – a Piedmontese journalist – and a few friends in a basement. This is the story of Slow Food. March 20, 1986 marks an important point in Italian culinary history. This was the day McDonald’s opened its doors to the Italian public for the first time ever, planting the famous golden arches in Rome’s Piazza di Spagna. With seating for around 450 people, Rome’s McDonald’s was the biggest in the world at the time, and occupied a giant site just a block away from Rome’s famous Spanish Steps. The national mood? Outrage. Protesters turned out in their thousands to voice their disapproval, swamping the streets outside the restaurant. Many of those protesters came armed, bizarrely, with placards of a gruff-looking Clint Eastwood – the recently elected mayor of Carmel, California, who had just started a very public crackdown against fast food in his home county. Celebrities made speeches to the crowd, warning of the need to protect Rome against the prevailing winds of Americanisation, whilst cooks set up in the square and whipped up huge pots of perfect al dente pasta. Fashion designer Valentino even launched legal action against the burger chain, complaining of the ‘significant and constant noise and an unbearable smell of fried food fouling the air’ at his nearby boutique. The ultimate, infuriating irony in all this, was that the owner of the building where McDonald’s had franchised its new outpost wasn’t even Italian – he was an Egyptian-born Frenchman by the name of Jacques Bahbout. In amongst the chaos, Piedmontese journalist Carlo Petrini snaked his way through the protesting crowds, handing out plates of penne. Carlo was already concerned about the growing separation between product and consumer in Italy, and the emergence of Big Macs on Italian soil threatened to increase that gap even further. McDonald’s had met similar resistance when it landed in France some years earlier – farmer and activist José Bové attacked the corporation head-on, dismantling a McDonald’s in Millau with a bunch of comrades. On the day of his trial, he arrived on an ox cart, carrying an enormous wheel of Roquefort cheese. ‘Save our Roquefort, and down with junk food!’ he roared to a cheering crowd. José went to prison for the next three months, but he became a pipe-smoking, moustachioed icon for the fight against ‘McDo’. Carlo’s approach was rather different. If José was Malcolm X, he was rather more Luther King Jr – he sought to protect Italy’s food traditions, rather than fighting against the rising tide of consumerism. He formed ‘Arcigola’ later that year – a precursor group to Slow Food. He and his friends would meet in the basement of restaurant La Bella Rossa in Fontanafredda, Piedmont, to discuss plans for the resistance over bottles of very good Barolo. Arcigola soon discovered it had friends all across Europe and in 1989, at the Opera Comique in Paris, allies from fifteen countries united to sign Carlo’s Slow Food Manifesto. The Slow Food movement, as we know it, was born. Homo sapiens must regain wisdom and liberate themselves from the 'velocity' that is propelling it on the road to extinction. Let us defend ourselves against the universal madness of 'the fast life' with tranquil material pleasure. 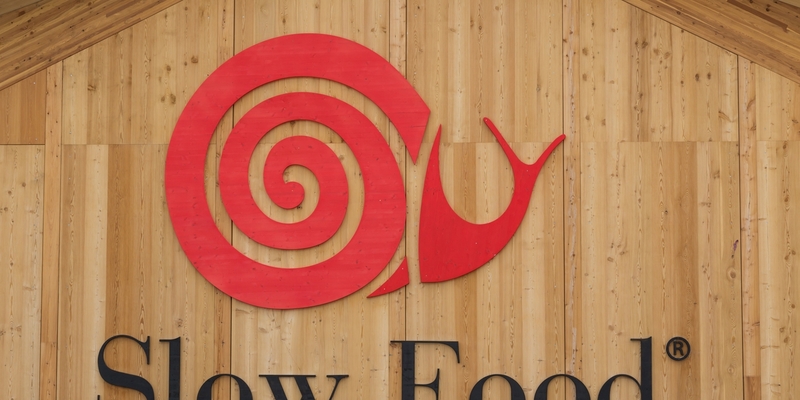 Slow Food’s aim, in a nutshell, is to protect local, traditional foods in the face of fast food and consumerism, and encourage people to reconnect with the food they eat. 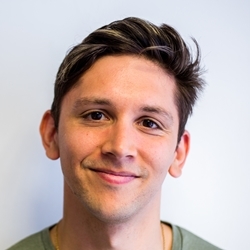 After the signing of the manifesto in 1989, the organisation has grown steadily, expanding its protective shadow to include more countries and more producers year after year. 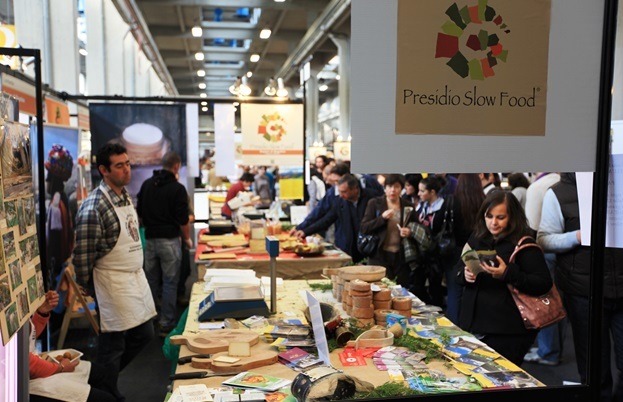 In 1996, Slow Food held the very first Salone del Gusto – an international exhibition in Turin that gathered food producers and artisans from far and wide around the globe to take part in workshops, forums, tastings, conferences and more. 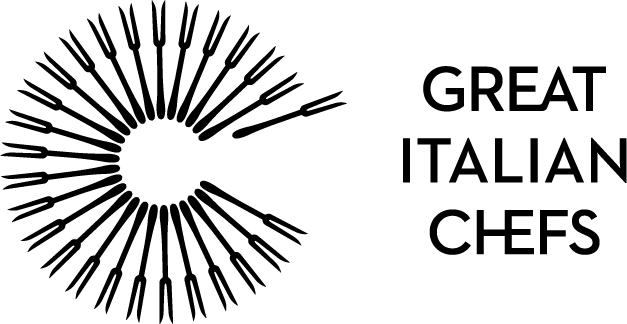 The Salone del Gusto is also the genesis for Slow Food’s Ark of Taste project – designed to discover, catalog and protect endangered foods. Anyone can contact Slow Food, nominating a local food they believe is at risk of dying it out – whether it be a certain species of fruit or vegetable, or an artisan food like cheese or salami. If Slow Food believes the food is unique, sustainable and at risk of extinction, it will place it inside the protection of the local Ark for that area, promoting the production and consumption of that food. 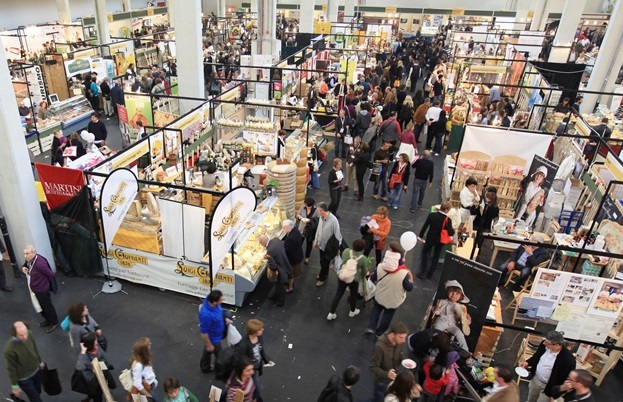 Over half a million people attended the Salone del Gusto in 2016, and nearly 5,000 foods are protected by the various regional Arks of Taste today, making Slow Food easily the largest organisation of its kind in the world. Though the majority of this work has protectionist underpinnings, there’s also an important health aspect too. As it turns out, Carlo was absolutely right to be worried about the impact of €1.20 burgers on Italy’s food culture – A World Health Organisation report released in May 2018 stated that Italy’s childhood obesity rate has gone through the roof, with 21% of boys and 14% of girls now classified as obese. Incidentally, that first statistic gives Italy the joint-worst childhood obesity rate in Europe, alongside Cyprus – though the UK, Germany and the Netherlands were all left out of the study. Still, things aren’t good – Slow Food is worried that Italians are losing touch with their food culture, and the younger generations are paying the price. By promoting properly grown, sustainable food sources, Slow Food helps spread awareness of the famously healthy ‘Mediterranean diet’, as well as protecting jobs for small-scale artisans. Slow Food started from small beginnings – a group of friends in the basement of a restaurant – but today it’s a huge umbrella organisation that reaches millions of people in over 160 countries, providing support and protection for their unique food cultures. Although the organisation has offices in Switzerland, America, France, Germany, Japan, the UK and more, the headquarters remain in Bra – the small Piedmontese town where Carlo Petrini was born and still lives. Through Carlo, Piedmont is the heart and soul of Slow Food, and so long as he remains in charge, it will keep fighting to preserve proper, sustainable food around the world.